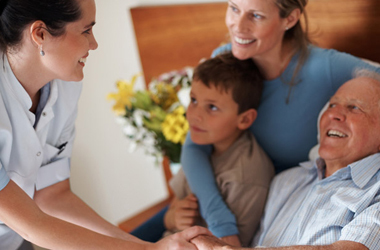 Five Points Healthcare is a leading provider of home healthcare and hospice services. Based in Atlanta, Georgia the Company was founded in 2011 by a team of seasoned home health professionals who had a vision to build a new healthcare company that would successfully blend their diverse experiences and create a premier home health and hospice organization. The goal of the founding members was to combine the knowledge and expertise they gained working with large, national home health and hospice companies with the personal touch, focus on patient care and commitment to employees they experienced working with smaller, locally owned companies. The result was the creation of Five Points Healthcare; a company that possesses industry leading experience yet maintains a small-company feel that is committed to its five key stakeholders – Patients – Employees – Physicians – Providers – Communities. Five Points Healthcare is always seeking outstanding people to join our Nurse team. Join the Five Points Healthcare Talent Network today to stay up-to-date on our current openings for Nurse jobs as they become available!